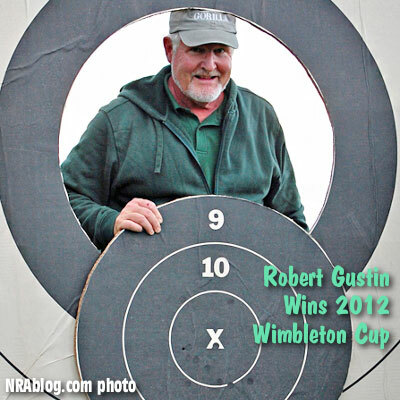 David Tubb, 11-time National High Power Champion, won the prestigious Wimbleton Match at Camp Perry earlier this week, and David currently leads the field of competitors for the 2011 Long-Range Championship. John Whidden is close behind, but Tubb has been at the top of his game this year. Tubb credits much of his success to his wind-reading: “Honestly, my wind reading is the best it’s ever been and my prone skills are coming around.” If you want to learn more about David’s wind-reading methods and strategies, watch the video interview below, filmed at the 2010 SHOT show. David Tubb, shown below, earned his second Wimbledon Cup title after drilling ten shots inside the ten ring for a final shootoff score of 100 points with five Xs. The Wimbledon Cup is one of the oldest of all NRA trophies. First presented to the American rifle team attending the British matches at Wimbledon in 1875, the Cup now is awarded to the top shooter in a two-part, 1000-yard event. The highest scoring competitors from each initial relay are chosen to shoot in a second “shoot-off relay”. Shoot-off competitors fire three sighting shots and 10 record shots. In case of a numerical tie for winner, the winner is determined by a shot-by-shot elimination shoot-off without regard for Xs. 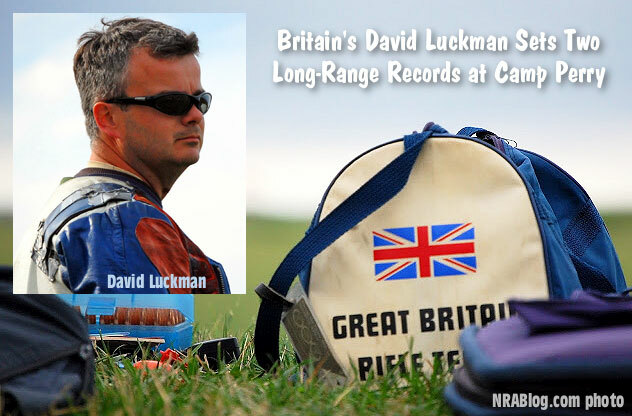 David Tubb looks downrange after scoring 100-5X in the shoot-off to win the Wimbleton Cup Title. The scoring board in the foreground replicates David’s shots on target. The yellow dots are for three sighters, while the red markers show David’s 10 shots for record. Report courtesy The NRA Blog. Share the post "Tubb Wins Wimbleton Match and Leads LR Championship"